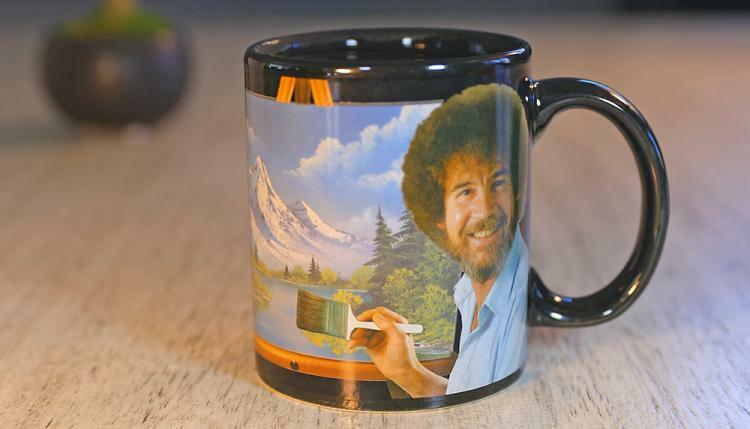 Bob Ross is an icon that withstands the perils of time, and will forever be in our hearts, our imagination, our spirits, and on our coffee mugs. 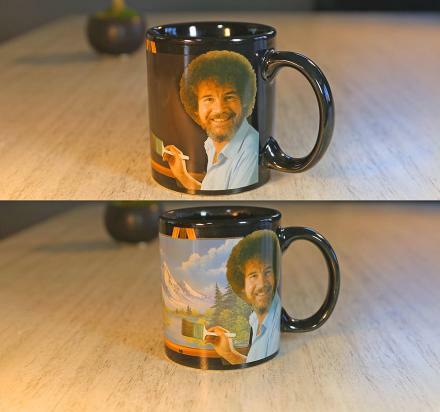 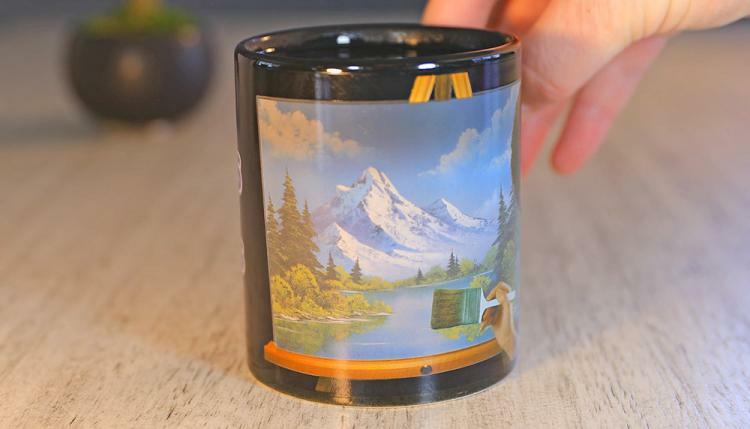 This amazing heat changing coffee mug has a picture of Bob Ross on the front of it, and when you add in hot liquids like coffee or tea, a beautiful Bob Ross painting will appear behind Bob and his paint brush. 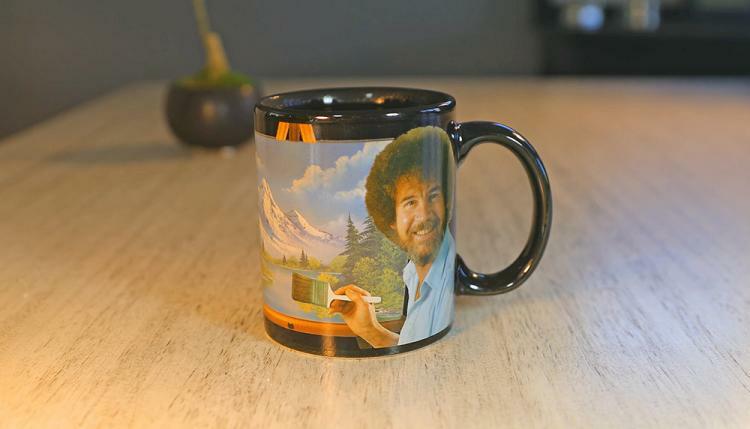 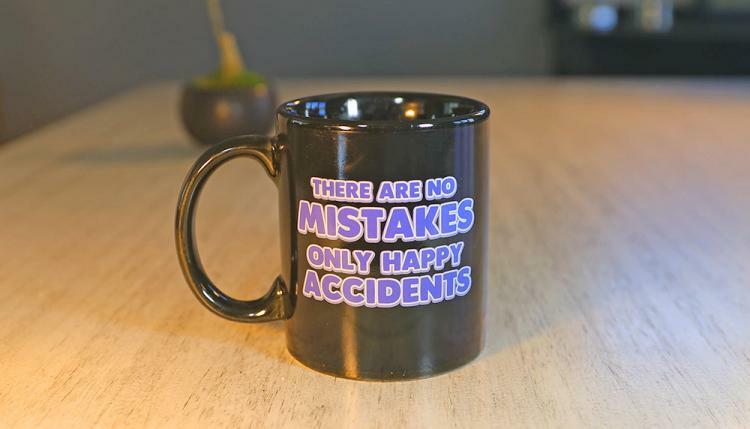 The front of the mug features Bob Ross holding his signature paint brush, whereas the back-side of the mug features Bob's popular quote "We don't make mistakes, we have happy accidents." 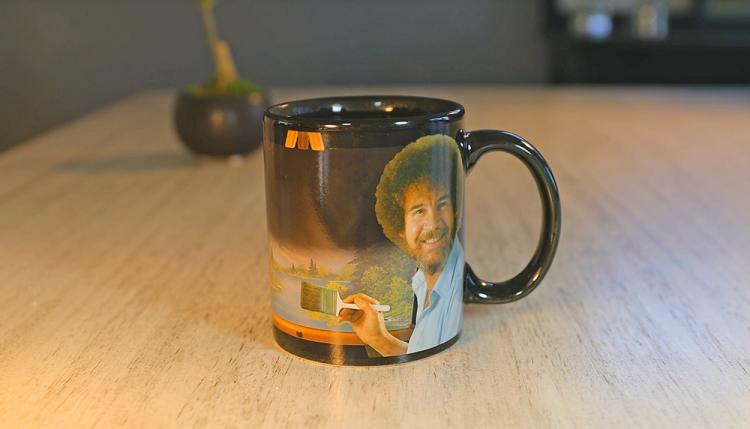 A perfect gift idea for coffee drinkers who just happen to love Bob Ross (which should be all of them), the Bob Ross heat changing mug will make a Bob Ross painting appear around the entire mug, including both behind his image and his quote. 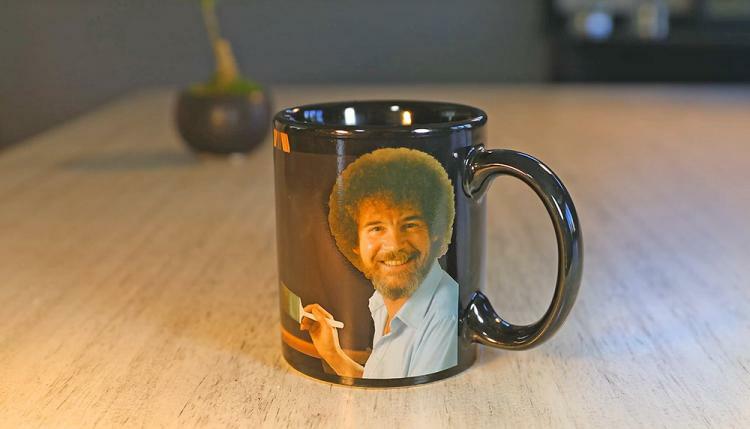 A coffee mug meant for true Bob Ross fans, the heat changing mug is able to hold 10 oz of liquid, is microwave safe but not dishwasher safe, and measures 3.8 inches tall x 4.5 inches in diameter. 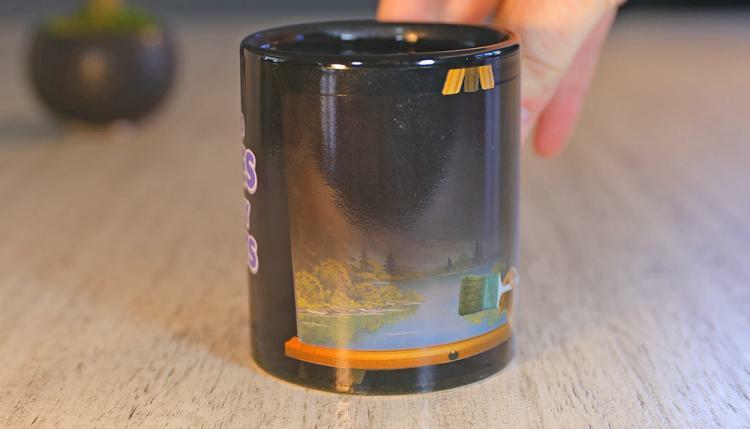 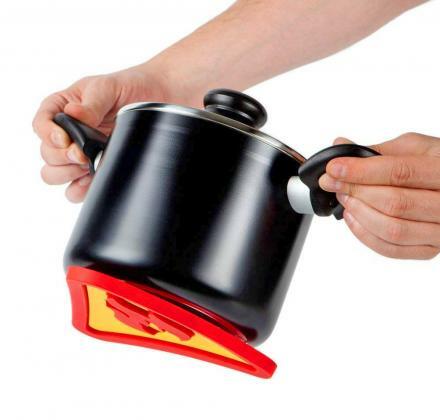 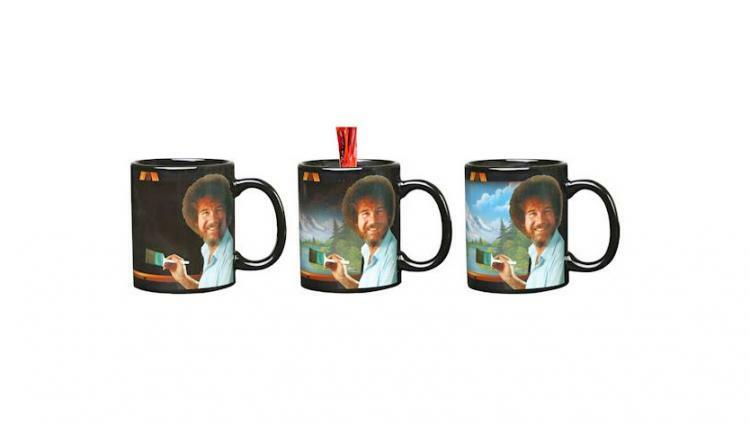 Check out the Bob Ross heat changing coffee mug in action via the video below.